Forty years later, it’s with a sense of wonder that we reflect on the space missions of the 1960s. With space programs drastically scaled back in the current global economy the Final Frontier isn’t seeing as much manned exploration as it once was. 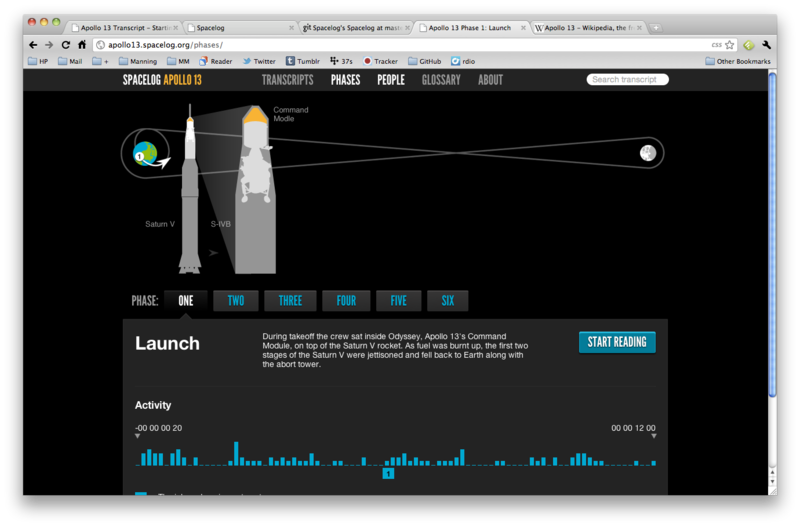 Thanks to public archives (and a little Python) you can now (re)live the space missions of the previous era thanks to Spacelog.org in an open, searchable and linkable format that presents the original radio transcripts in a Twitter-like timeline. Spacelog ties together stunning artwork, photos, biographies, glossary, and communication transcripts to immerse you in the mission. 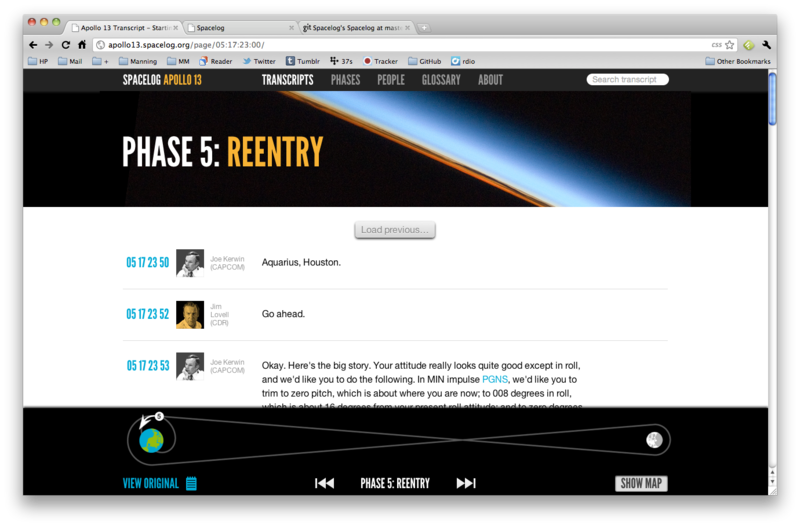 Currently the site serves up the Apollo 13 mission (the basis for the Tom Hanks film), as well as the Mercury 6 mission. With your contribution, upcoming missions include Gemini 7, Apollo 8, and Apollo 11. So go ahead and fork the project and help out.